When we drove into Las Vegas one sunny afternoon in November, we weren’t sure what we’d do there. Neither of us are Vegas kinda people – two beers is a good evening for us, we don’t do drugs, we didn’t have a gambler’s budget, and we didn’t really want to hang out with the showgirls. 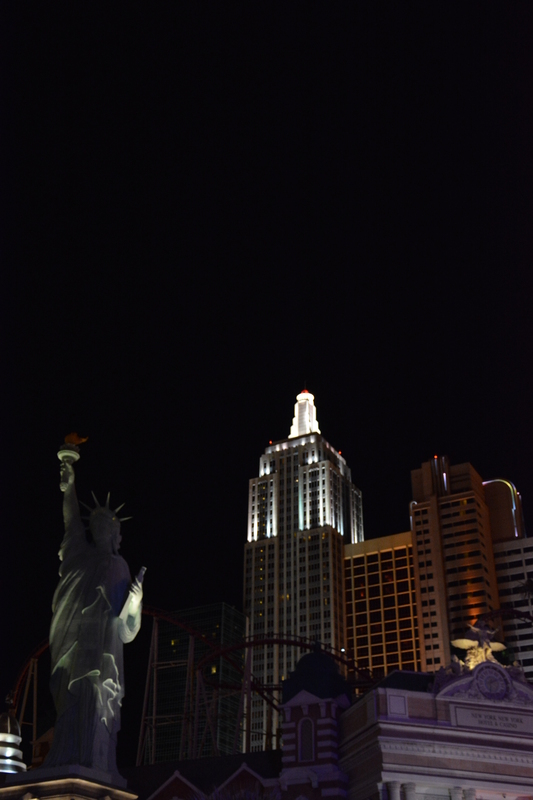 But as we were to discover, you don’t need to be Vegas kinda people to enjoy Vegas. When they say it’s like a Disneyland for adults, they’re not kidding! 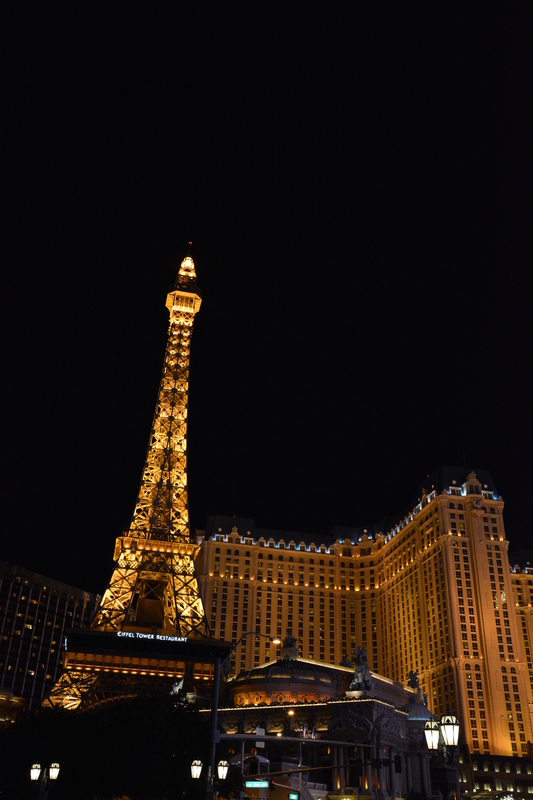 Las Vegas during the day is hot, muggy and has thousands of tourists milling about on the streets. The colours look a little too bright and a little too fake. But come dusk, when you can’t see the haze and the lights are switched on – that’s when our jaws dropped! 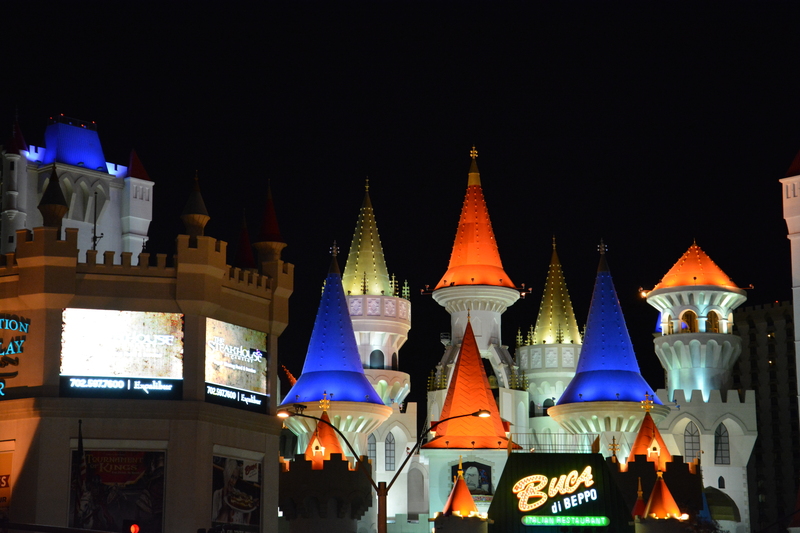 Las Vegas is beautiful, in the most wonderfully larger-than-life and man-made way possible. Gorgeous castles and gilded mansions line the streets, making you feel like you’re in some exotic faraway land. 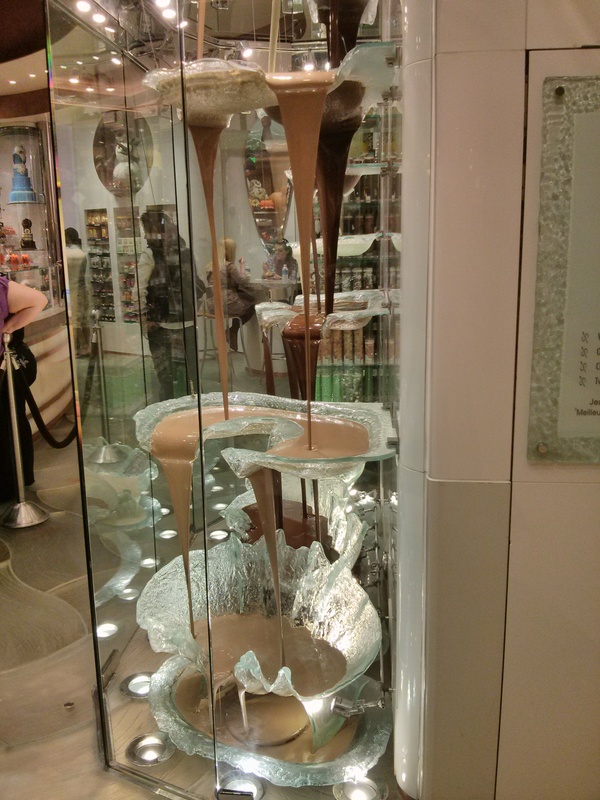 Chocolate fountains cascade deliciously into crystal shells in decadent chocolate shops. Dark, white or milk chocolate – what’s your poison? Talking trees in casino lobbies engage onlookers of all ages, including us. 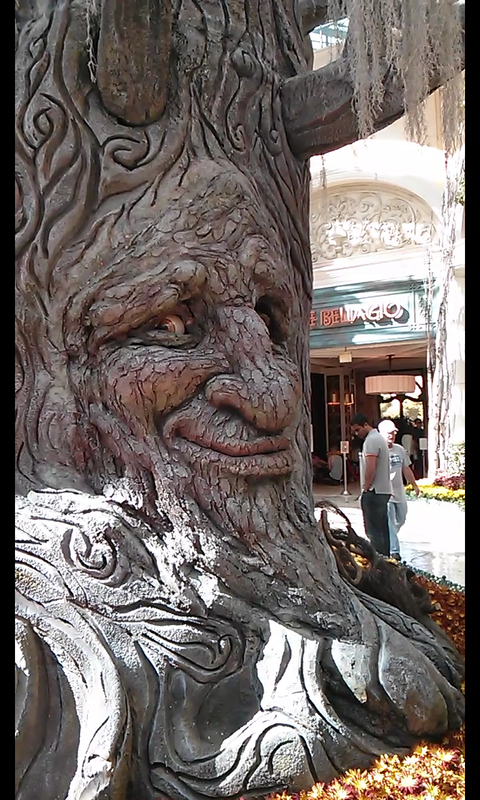 A tree that leers at you – kinda creepy, kinda awesome! You’re miles from New York, but there’s the Statue of Liberty right there! Do you want a leetle French romance in your life? Mais oui, nuzzing less zen ze Eiffel Tower for you! 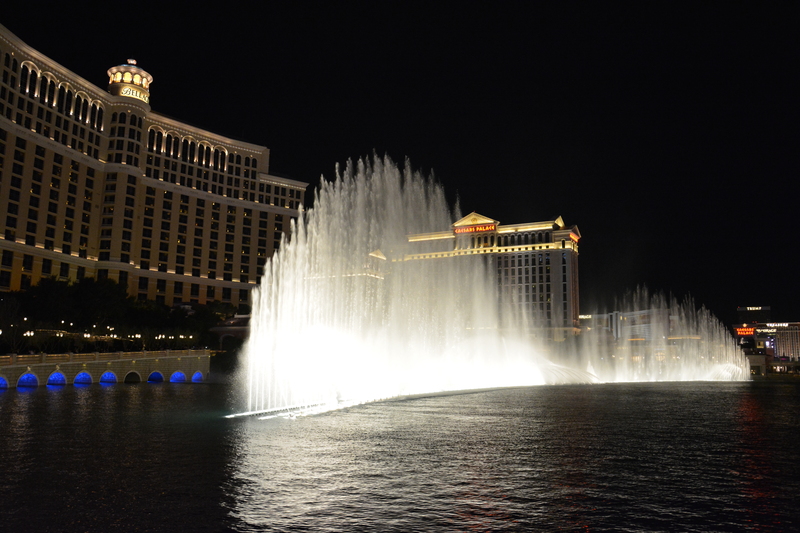 How about a dancing fountain with a sound and light show? Or how does a moving ceiling work for you? If you’re not keen to gamble, you can always wander around the casino floor and stalk celebrities, like I did. 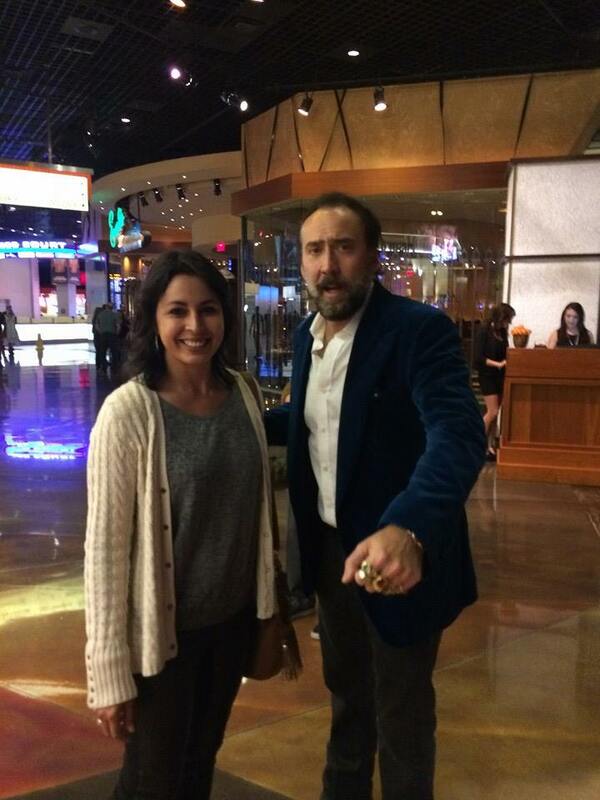 I spotted Nicholas Cage striding through the crowds on his way to dinner or saving the world or something. And what do I do? Planning to approach him and tell him how I think he’s an undervalued asset to Hollywood, and prove it with a graceful and witty discussion of his roles, I go speed-walking up to him and poke him on the shoulder. He turns to look at me, and I stand there gulping like a goldfish and all I can stutter is, “Excuse me…Are you Nicholas Cage?” So much for grace and wit. Making a scintillating first impression on Nic! 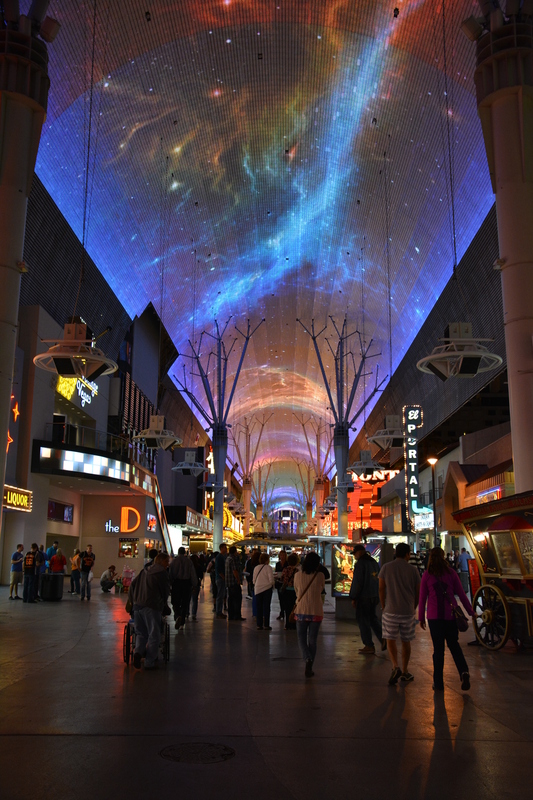 Of course, you can also do a number of day trips from Las Vegas when the city of sin gets too much for you. We took a short trip to Lake Mead and Hoover Dam and went deep into the underground power plant to understand how it worked. The highlight of the visit though, was most definitely Ka, the Cirque du Soleil show we went for. Unfortunately we couldn’t take pictures, but even if they’d allowed it, we wouldn’t have managed to move a finger. From the minute it starts, everyone just sits back, staring in awe while their minds are well and truly blown. And as we were Leaving Las Vegas (see what I did there? Sneaky tribute to Nic Cage! ), we knew we’d have to come back one day. It might be loud, tacky, and fake, but it was a true spectacle in every sense. I agree. We don’t gamble (much), but love the food, hot weather and people watching. We even got engaged and married there (two different trips, lol).